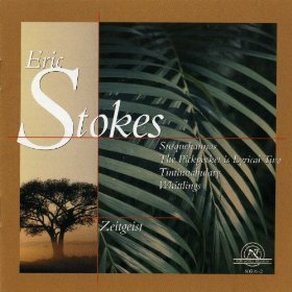 Zeitgeist enjoyed a long association with Minnesota composer Eric Stokes. This recording features the work Stokes wrote for the ensemble, including Whittlings, Susquehannas, and The Pickpocket is Lyrical, Too. Eric Stokes' chamber writing springs from the rugged American spirit, is rhymthically pugnacious and melodically mischievous. Performers: Heather Barringer, Jay Johnson, Michael Lowenstern, Patti Cudd, David Milne.